Shelby Township is known for its beautiful oak trees, which have been a staple in the Michigan ecosystem for centuries. With so many old trees covering the state, many are bound to topple, break or need to be cut down eventually, leaving their stumps behind to rot. While it’s tempting to leave your oak tree’s giant stump in your yard for your grandkids to play on, it’s important to realize that getting rid of old rotting stumps is just as important as it is to remove dead, breaking and diseased trees, as they provide the perfect environment for invasive species, fungi and diseases to grow. As it turns out, there’s more than one way to deal with tree stumps, and one method is far better than the rest. When it comes to removing that stubborn, rotting tree stump that has been taking up space in your yard for years, stump grinding is by far the cheapest, easiest and most eco-friendly way to go about it. Stump grinding is, by definition, the act of strategically chipping away at tree stumps with specialized industry equipment until the stump is reduced to wood chips. Once the stump has been ground up, these wood chips can then be recycled as mulch for your garden or kindling for an at-home firepit. Just imagine all the DIY yard projects you could do with the recycled wood from eco-friendly stump removal! Unlike the stump grinding technique, complete stump and root removal requires professional stump removers to come in and dig a massive hole around the stump to pull it out, leaving you with a gaping pit to fill on your own time. This technique is far more damaging to your yard, as it is an incredibly invasive technique that disrupts several feet of growth on all sides of the stump. Plus, there is no pragmatic option for recycling a giant hunk of dirt-covered tree stump and dangling roots. No matter what method of stump removal you choose, be sure to consider the pros and cons of these two popular options. Most Shelby Township homeowners elect to go with the stump grinding method, as it is quick, easy and inflicts minimal damage to your lawn, leaving you with a small hole to cover and a pile of wood chips that can be recycled for many different purposes. With such a beautiful and unique ecosystem to protect, environmental responsibility often wins over invasive techniques that leave a lasting impression on the land. Whether you choose to have your stump ground up or removed entirely, it is important to remember that these tasks are dangerous and require professional training and experience to be done right. At Halo Tree Service in Shelby Township, we offer the very best stump grinding services in the area, and our experts are well-equipped to take on any tree stump, no matter its size, shape or state of deterioration. 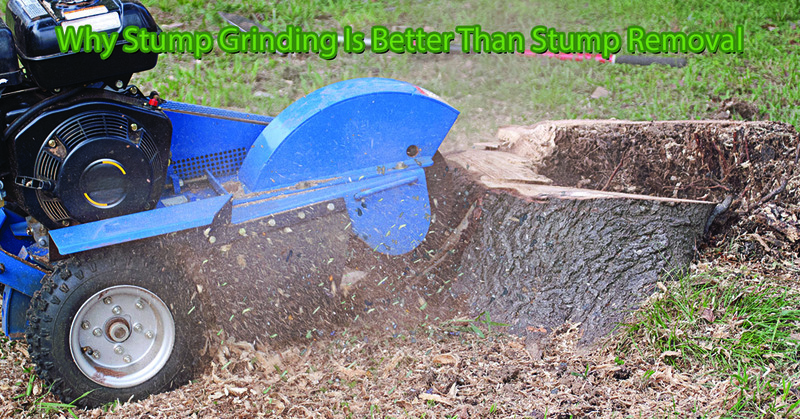 Call us to schedule a professional tree stump grinding service today!